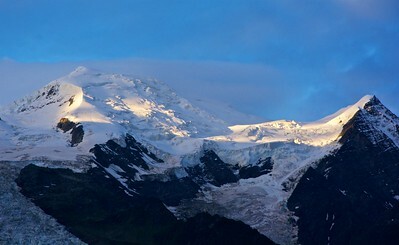 A final view, as the clouds once more obscure the summit of Mont Blanc, before we descend to Chamonix and begin our trip home. 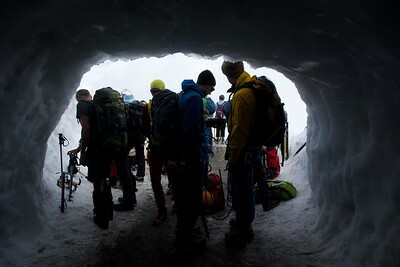 And here is the snow/ice tunnel used by climbers heading out onto the glaciers surrounding us. 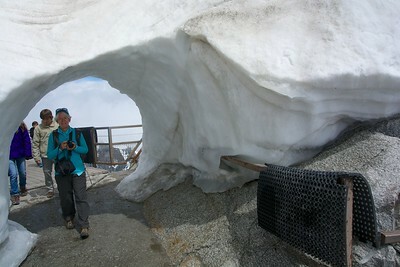 Sue, passing through a snow bridge on one of the Aiguille du Midi terraces. 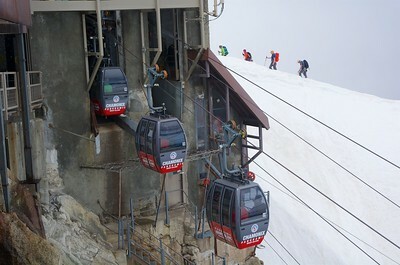 From the Italian side, a separate series of smaller cable cars allow for international transfer. 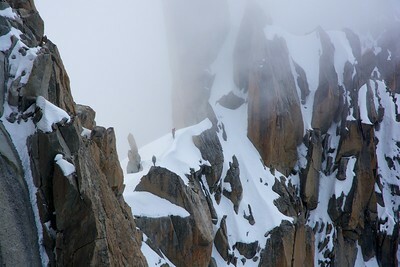 Note the climbers on the snow-covered knife edge ridge. 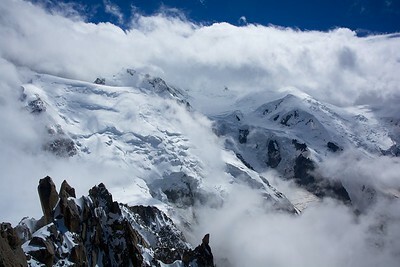 Also not the fog moving in. 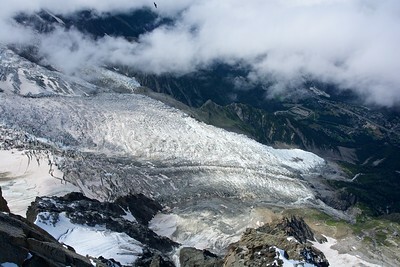 The view looking down to the Glacier des Bossons, thousands of feet below. 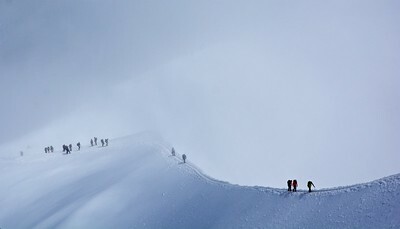 From the summit, 3842 m (12,600 ft) above sea level, you see many climbers trudging out over the snow fields. 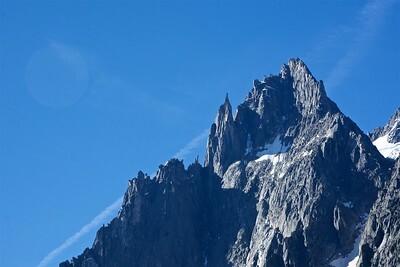 One's ears are popping from the quick ascent. 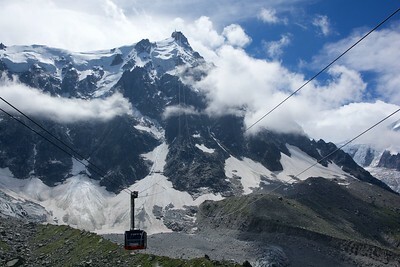 And this is a photo taken from the cable car as we begin our ascent. 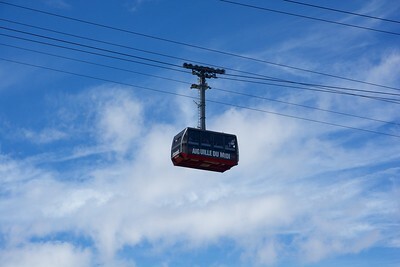 In 20 min, the car will take us 5000 ft higher to the summit, at 12,600 ft! 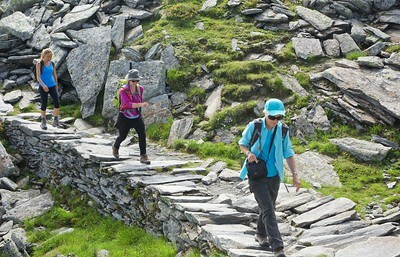 Sue, Laura and Rachel hiking across a constructed causeway. 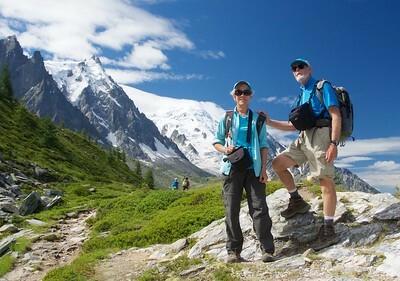 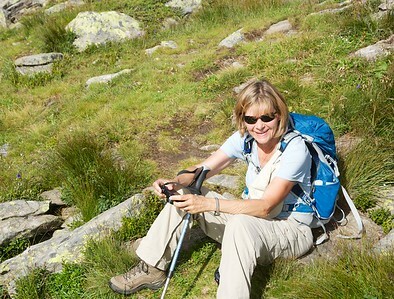 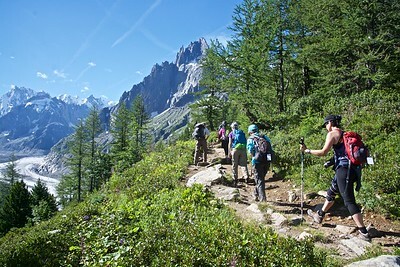 Today we are hiking from MontenversPlan de l'Aiguille, contouring along the Gran Balcon Nord, a short hike of 3.4 miles. 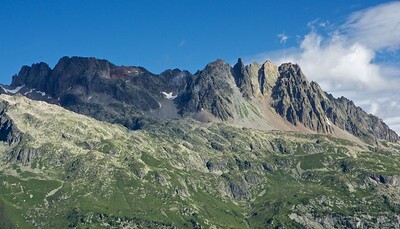 View across the Cahmonix valley to the Aiguilles Rouges. 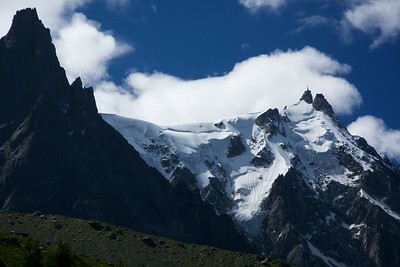 We were hiking below these peaks yesterday. 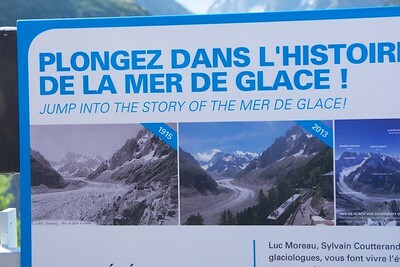 Just 100 years ago, the surface of this glacier was just below the railway. 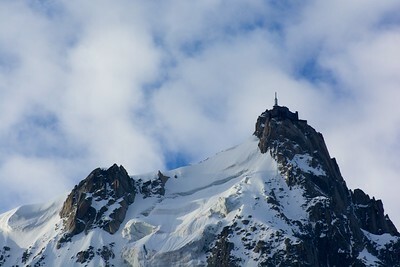 and hotel. 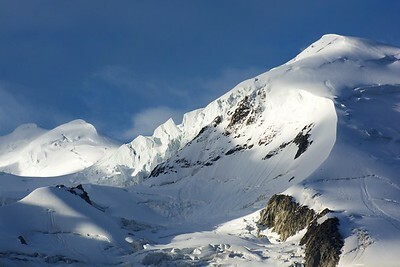 Now it has thinned by about 500 feet. 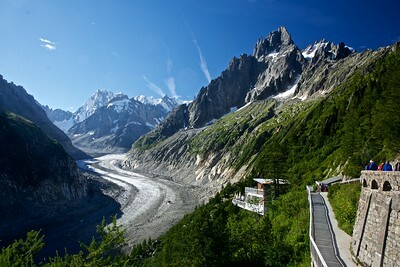 And here we are, at Montenvers, overlooking the Mer de Glace, or "sea of ice"
Aiguille du Midi. 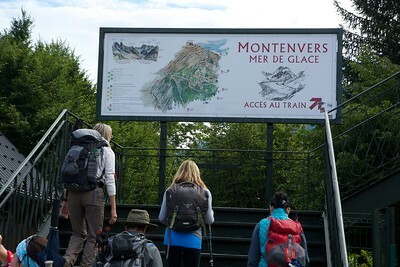 This is ultimately where we are going today! 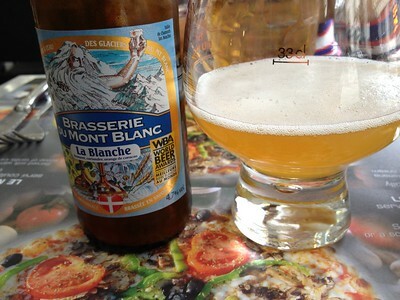 Celebrating the completion of the Tour du Mont Blanc with a good local beer.